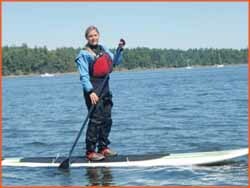 Stand up paddle boards are the hottest new water sport trend. Our bay is perfect for paddle boarding. No sea planes, we’re in protected waters and there is very little current. Our team is happy to provide some instruction. No experience necessary to rent from us.